Part of me was a bit wary about starting Our Mutual Friend considering how little I enjoyed The Pickwick Papers, but after the almost insulting level of simplicity to be found in my last book I needed something a bit chunkier. 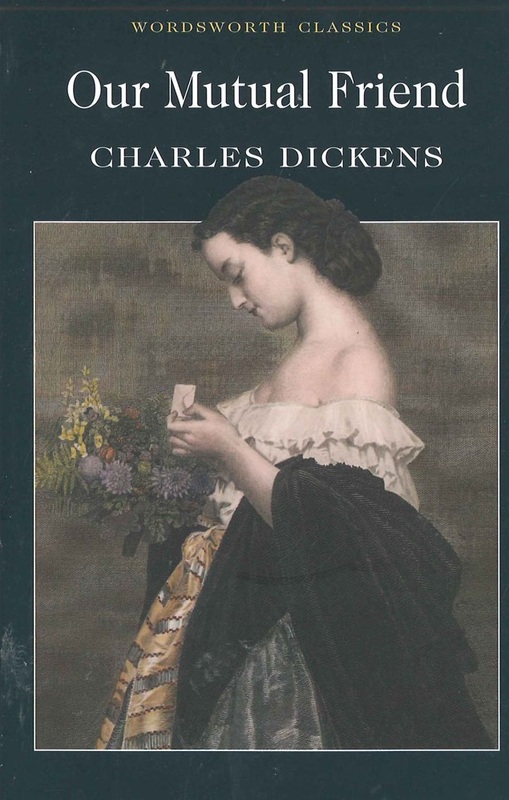 Besides, it was Dickens, I felt I kind of had to give him another chance. Our Mutual Friend is a novel consisting of several interweaving storylines, all connected to the mysterious circumstances surrounding a man named John Harmon. A young man returning to London in order to claim the fortune left to him by his miserly father, his corpse is instead fished out of the River Thames in what appears to be a murder. And so the plot branches out to focus on characters such as the Boffins, the people who inherit John Harmon's fortune in his absence, and the Hexams, responsible for fishing the body out of the Thames. Through these plots, the effect of materialism is examined on various sectors of Victorian society. "Do I never read... how the worn-out people that do come down to that, get driven from post to pillar, and pillar to post, a purpose to tire them out? Do I never read how they are put off... grudged the shelter, or the doctor, or the drop of physic, or the bit of bread?" To read that and remember both the soul-crushing experience known as claiming Jobseeker's Allowance and the recent scandal about the number of people who have died after being deemed "fit to work", it did seem to hit far too close to home for my liking. I think that might be a key difference in my feelings towards Our Mutual Friend and The Pickwick Papers: the latter keeps matter far too safe and doesn't really feel relatable, while the social issues that Our Mutual Friend examines lends itself far more relevance regardless of time period.